So. As you may or may not know, we have recently been talking about altruism. If you don’t know, go and read it before you read this, it may not make sense otherwise. Thanks! It was a thought that upon first glance, altruism has a sort of “spiritual” aspect to it. Now i don’t mean in the hipster style sort of thing, i should add. To me, for something to be seen as spiritual, it isn’t something that cannot be taught or learned, it something we are all, innately capable of. However in a society that, lets be honest, takes money, progress in learning about how the world is and how we are supposed to live a specific way in it as much higher importance than anything else, you can’t help but think we aren’t that interested in ourselves. It’s as if we are more concerned what other people have and how they feel more than what we have, what we want and possibly most importantly, how we feel. The point is, i frequently find myself more interested in other people’s lives, their situations and how they feel about life. The idea of “don’t worry about me” mentality is something frequent in society i think, because we don’t want to be seen as less “superior,” in the sense that if we are struggling with some form of internal conflict and we don’t know how to deal with something, then we seem less powerful, capable of getting what we want from the world. However, as usual, i’m getting sidetracked. This self-ignorance, if you will, i think comes from a lack of understanding of what we desire, what we truly want. I don’t mean the cup of coffee that you want first thing in the morning, or the pint you want after you get off work on a Friday. What you long for, what you want from the minute you wake up to the minute you go to sleep, what you imagine your life having. Desire is supposed to be that thing that you yearn for, be it the love of a woman, or man, a lifestyle, a thing that would make your family life better, that would make your life feel…better. I feel like this is a complicated thing to feel. Desire, as a lot of things these days, cannot be defined, because its basically impossible to understand it until know what we want, normally when it is staring us in the face, desiring it almost as badly as we want to breathe. Use a relationship, purely as an example. You meet someone, instantly there is a spark, of form. Is this desire. or is this lust? Its like the world is supercharged to move as quickly as possible, so we often don’t look at things properly, so we can mistake the lustful thoughts we have about something for desiring it. What is this feeling? is lust and desire the same thing? We all have felt like this at some point, you could walk past someone in the street you feel is “desirable,” turn to your friends, or think to yourself “dam she’s/he’s gorgeous” and carry on with the rest of the day like it was nothing. In a more social situation, say you see someone dancing in a club, for instance. Then that familiar thought crosses your mind. Its very unique thing, something i think is different to what i consider “desire” to be. Anyway enough of what I think. What do you think? 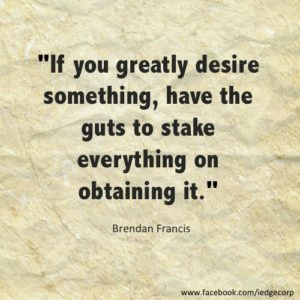 What is desire to you? What does it make you feel, or make you want to do? What is “that” feeling to you?